When will be Next of Kin next episode air date? Is Next of Kin renewed or cancelled? Where to countdown Next of Kin air dates? Is Next of Kin worth watching? Next of Kin follows whip-smart GP Mona Shirani who lives in London with political lobbyist husband Guy Harcourt. 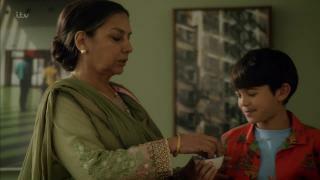 Family life is shattered when Mona's brother is brutally murdered whilst working for a medical charity abroad. As the death brings buried secrets to light, Mona's family finds itself under suspicion, each drawn deep into a tangle of betrayal and conspiracy as they try to protect their loved ones and careers. Mona finds herself facing the ultimate dilemma: how far would you go to keep your family safe? Mona returns to the UK and is determined to investigate Danny's suspected links to radical Islam despite her injuries, but her efforts to get Danny to safety on the day of Kareem's funeral have unexpectedly dire consequences for the family. Mona is released from custody and agrees to become a tasked witness and help the police bring Danny in as an informant, but the fallout from her actions at home is disastrous, and her marriage is under more strain than ever. Omar attempts to step in and rescue Danny, but he puts the entire counter-terrorism operation in danger. With the terror cell compromised and off-grid, the police's trust in Danny is severely damaged in the process. With his client Mr Khalid now in police custody, Guy is forced into a difficult decision about his own loyalties, whilst Danny and Hamoud await instructions about the target of the planned attack.A shell-shocked Mona is reunited with her loved ones and attempts to put the pieces of her family back together again. However, Barnes and the counter terrorism police face a desperate race against time to stop more attacks on London and save Danny before it is too late. Next of Kin next episode air date provides TVMaze for you. EpisoDate.com is your TV show guide to Countdown Next of Kin Episode Air Dates and to stay in touch with Next of Kin next episode Air Date and your others favorite TV Shows. Add the shows you like to a "Watchlist" and let the site take it from there.